Order my new book, Body Belief, and get a free digital workshop! 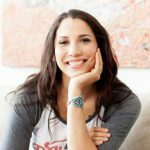 You will receive the Body Belief Jumpstart: a one-day digital workshop to reset your health, reconnect to you and learn to love your body more for FREE! This program is valued at $99 but is completely free when you order Body Belief: How to Heal Autoimmune Diseases, Radically Shift Your Health, and Learn to Love Your Body More. Health Intention Workshop: Aimee will help you outline and set your health intentions, show you the ways to achieve your health goals and why there’s a big difference between intentions and resolutions. The A.R.T. 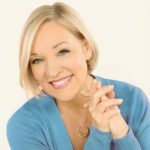 of Shifting Your Beliefs Discussion: in this lecture, Aimee will guide you in uncovering and shifting your beliefs to support thriving health from a place of self-love and compassion (including tools so you can begin this work immediately). P.S. Your beliefs dictate your behaviors and your behaviors dictate your health, so this discussion is one you won’t want to miss! *This 5-hour digital workshop can be completed in a day or one session at a time. You will receive lifetime access to the content, so you can work through it at your own pace and refer back to the sessions as you progress on your healing journey. Click one of the bookseller links below to order the book (all booksellers are eligible for this bonus). Copy your receipt number and return to this page. Do you want to feel better now? During my almost 15 years of clinical experience as a women’s health and wellness expert, something major has become clear to me: women are walking around feeling incredibly unwell, and the problem just continues to worsen. This is not acceptable to me; nor should it be to you. That is why I developed the Body Belief plan—to empower you because you deserve to feel good, you are worthy of abundant health, and, most importantly, you are capable of healing yourself. Even more, nearly 30 million women are dealing with an autoimmune condition like rheumatoid arthritis, Hashimoto’s thyroiditis, inflammatory bowel disease, celiac sprue, endometriosis, PCOS and type 1 diabetes. And, there are even more women walking around with an undiagnosed autoimmune condition. It is estimated that one in nine women between the ages of 20 to 45, will be diagnosed with an autoimmune disease. 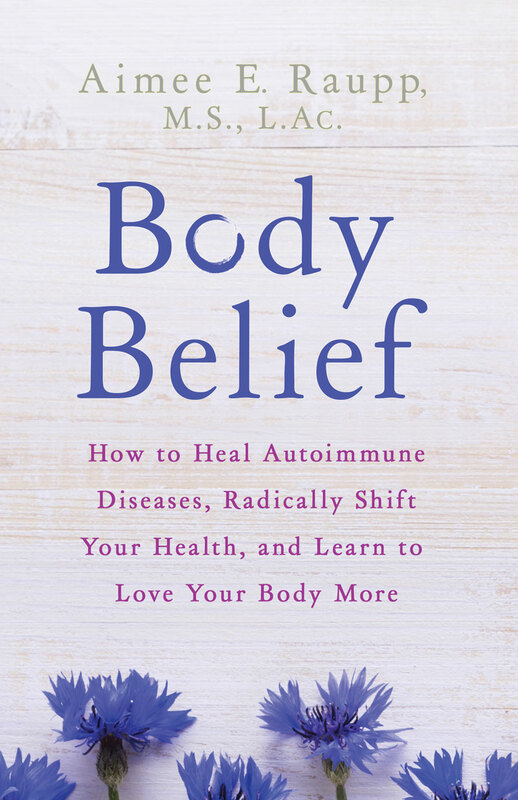 Whether or not you have officially been diagnosed with an autoimmune condition, Body Belief will guide you on a life-changing path to radically shift your health and help you love your body more because you deserve to feel better NOW! With warmth, sensitivity, and practicality, Body Belief explores how our beliefs dictate our behavior, which ultimately dictates our health. By following the two-phase Body Belief diet and Body Belief lifestyle roadmap, your health will begin to thrive, both inside and out. Included are a diet plan, shopping lists, menus, meditations, mantras, and DIY and commercial suggestions for bath, beauty, and home products for self-care. 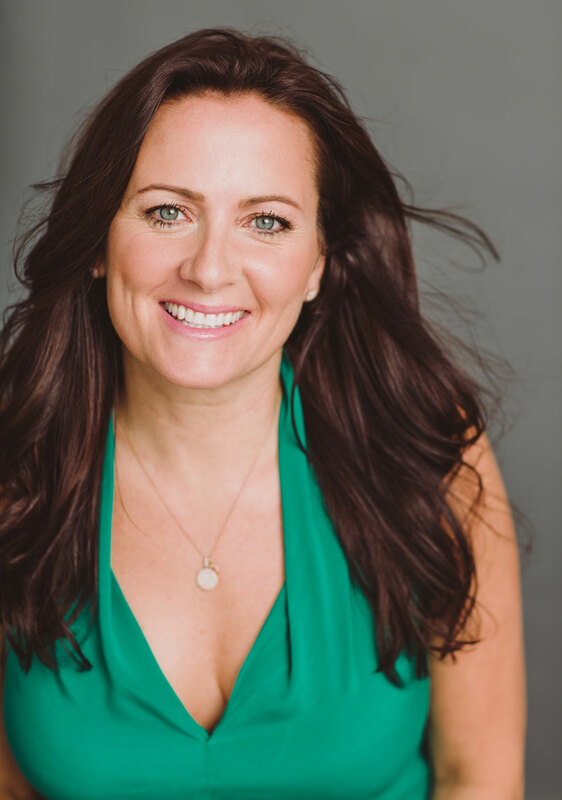 Aimee Raupp, MS, LAc, is a women’s health & wellness expert and author of the books, Body Belief, Yes, You Can Get Pregnant, and Chill Out & Get Healthy. A licensed acupuncturist and herbalist in private practice in New York, she holds a Master of Science degree in Traditional Oriental Medicine from the Pacific College of Oriental Medicine and a Bachelor’s degree in biology from Rutgers University. 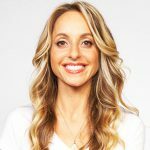 She has appeared on The View, has been featured in Glamour, Shape, and Redbook, and has received endorsement from Deepak Chopra, Arianna Huffington, and Gabby Bernstein for her work in helping thousands of women to improve their vitality, celebrate their beauty, and reconnect to the presence of their optimal health. 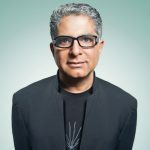 Additionally, Aimee serves as women’s health expert and contributor for Thrive Global, an online platform founded by Arianna Huffington, which is accelerating the culture shift that allows people to reclaim their lives and move from merely surviving to thriving. Do I have to give up coffee and alcohol during the 30 days? As we progress through the Body Belief eating plan, we will eliminate foods and beverages that cause inflammation and yes, that includes coffee and alcohol. But don’t worry, while we will eliminate coffee and alcohol completely during the Purify phase of the eating plan, we will re-introduce them in the Reawaken phase of the program. Plus, you will likely be feeling totally awesome by then and not even crave them like you did before. When you preorder the book through your online retailer of choice, they send you a confirmation email. You will find the order number/receipt number in this email. When will I receive the Body Belief Jumpstart workshop? How does it work? Once you register, we will email you the next steps for the workshop. You will receive access to the workshop content on February 18th. We will email you login details for a member website, where the recorded sessions will be streamed. We will also send you an information packet, providing details on how to prepare for the Body Belief Jumpstart workshop. You will have lifetime access to the workshop, so you can work through the content at your own pace and refer back to the session as you progress on your healing journey. If I miss the live-streamed workshops, can I watch the replay? Yes, my team will send out a recording of the Q&A to all those that enroll in the workshop, so if you can’t make it for the live session, don’t worry! You can still submit your questions before the session and hear my answers on the recording. The book will be published on March 13, 2018. You can expect to receive your copy from your online retailer you ordered from within a few days of this date. For more specific information, please contact the online retailer directly. Email us at info@aimeeraupp.com, and we’ll be in touch.